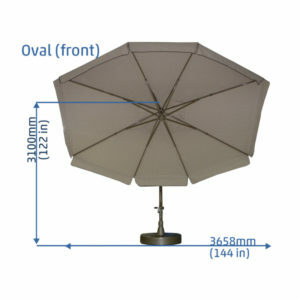 The Original “Easy Sun” Europe Cantilever Patio Umbrella is 100% made in Europe. 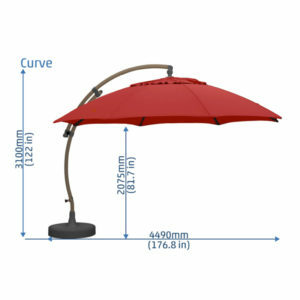 The German Engineering and well balance design makes this the easiest umbrella to operate. Sun Garden canopies are made with superior construction, awning grade solution-dyed heavy duty fabric: constructed to withstand the harshest of environments has a limited 5 year warranty. 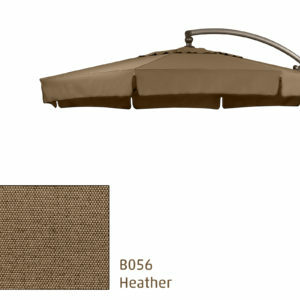 The simple 360 degree swiveling allows you to rotate the umbrella into 20 locking positions shading different parts of your patio with ease. Standing 10’6″ tall when fully open, 34″ round sand filled base. 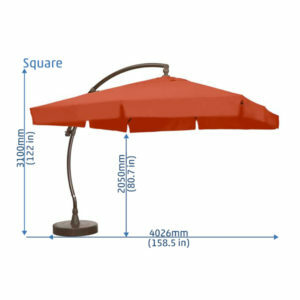 **Please note: Sun Garden has discontinued the 10×10 canopy WITH a valence. The only available fabric left with valence is B061 – Scarlet and B056 – Heather Beige** While QTYS last! 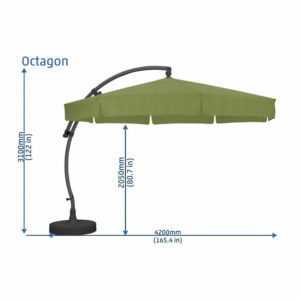 This rib was made for the 11.5 foot Sr. Octagon model of the Easy Sun Parasol which has a measurement of roughly 69 inches. 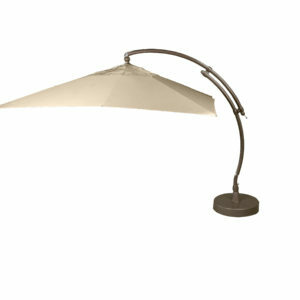 This rib was made for the 13 foot Curve model of the Easy Sun Parasol which has a measurement of roughly 74 inches and is slightly curved. The Articulated Joint Elbow is used to attach the Ball Joint and Rib Assembly (aka Spoke Stand) to the Sliding Pole. The Articulated Joint is used on the main rib (long rib) and connects to the second component of the rib (short rib). 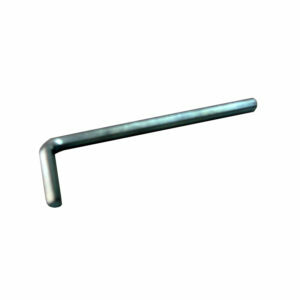 This purchase includes the rivets needed for installation. 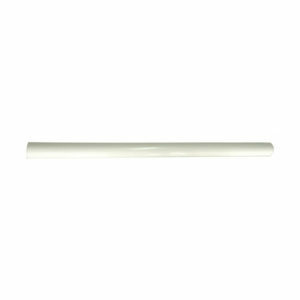 The Assembly Tube is used for leverage when installing your Base Cone and is only available in White. 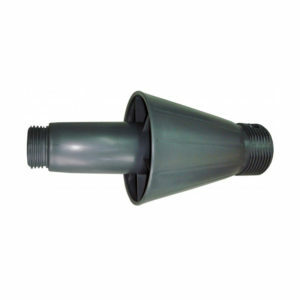 The Base Cone screws into the base and is tightened with the Assembly Fixing Tube. 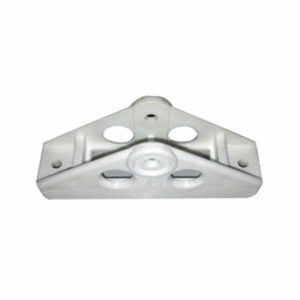 The opening at the top is where the Reducer Socket is installed. The Base Cover is used over the Tray Base (where the sand/gravel goes). 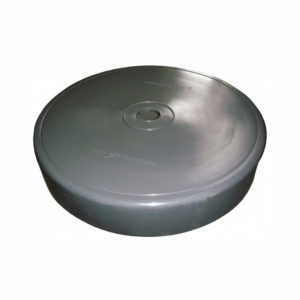 If your base is in good condition but the cover has faded, the Base Cover is all you need! 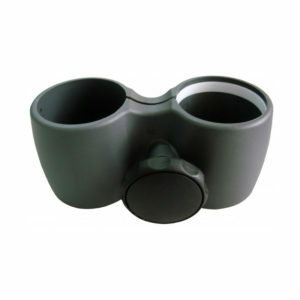 The Block has a knob that allows you to “lock” the Standing Pole in the desired position. 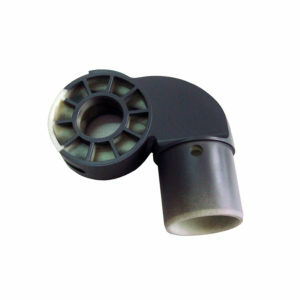 To extend the canopy out, simply loosen the black knob, adjust the Sliding Pole to the desired position, and tighten the knob. 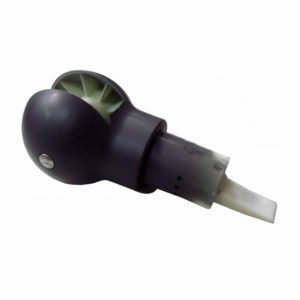 Our patented products combine high quality standards with compelling design, entirely made in Europe. Sign-up to our newsletter and see the latest offers from Sun Garden Canada!